The Tea Garden to Nelson Bay leg of the journey was a plunge into the unknown. 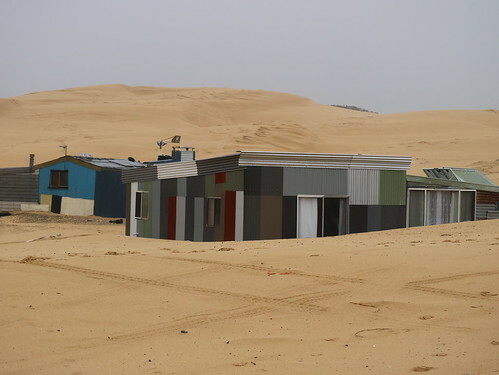 I’ve booked our room near Anna Bay but had absolutely no idea how to get there. 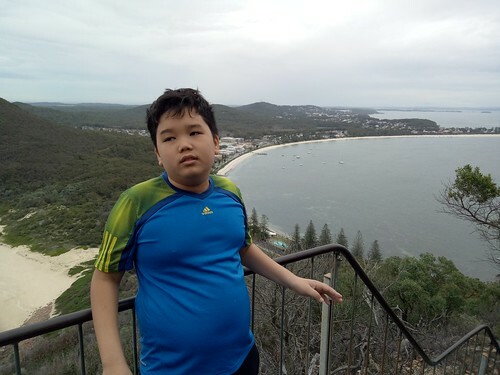 The distance is shorter than that between Batam and Singapore, but the ferry in Australia is slow and small. 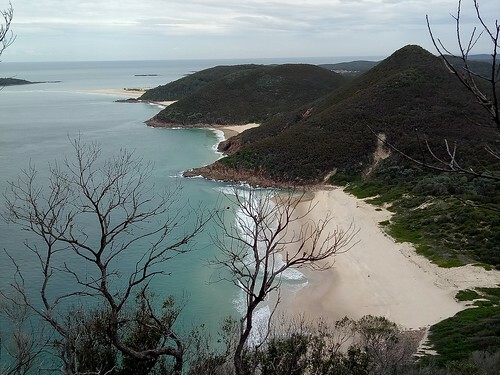 It certainly won’t impress the techie, but for those with a more poetic temperament, it’s almost a slow, romantic drift down the mouth of Myall River and a somewhat bumpy ride on the open sea. 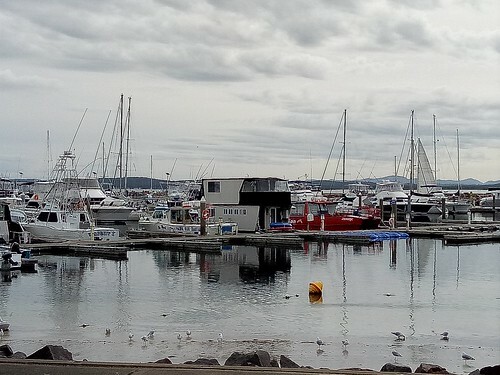 The ferry finally docked at Nelson Bay, a rather unspectacular marina with a hillside suburban sprawl. A brief consultation with Google Maps brought us to the bus stop right in front of a supermarket. I called the bungalow and was duly informed that like at Myall Lakes, we’d better bring our food in. I grabbed the chicken, satay, sausages, bread, noodles and didn’t have to wait long before the bus from Port Stephens Bus Service arrived. Samurai Beach Bungalows turned out to be a bit of a shocker for the kids. It was a little too close to nature for them, with a bird kicking sand and building a nest right in front of our bungalow. It was pretty much the only affordable place available on a weekend and for some reason, I found their whining a bit amusing. Apart from the bathroom, the kitchen was also shared. It was a separate hut from the bungalows and some of the utensils looked like they had been through a battle. 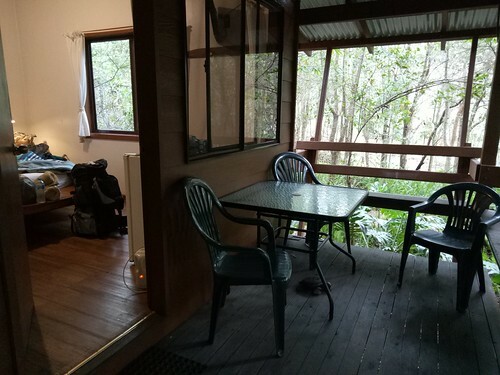 It was a budget accommodation and I saw it as a good opportunity for the kids to adapt to these conditions when they start backpacking on their own. 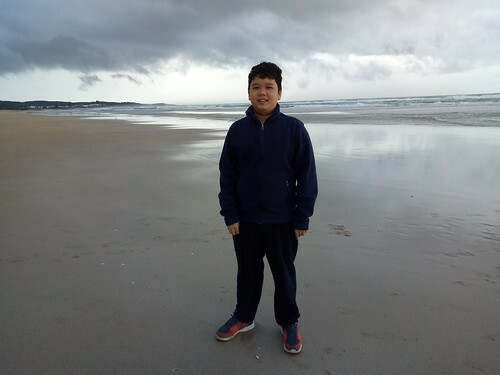 Used to the compactness and convenience of Singapore, the kids also grumbled about Samurai Beach Bungalows as a creepy and unhappening abode in the middle of nowhere. Again, this was an good opportunity for them to experience a different kind of accommodation. 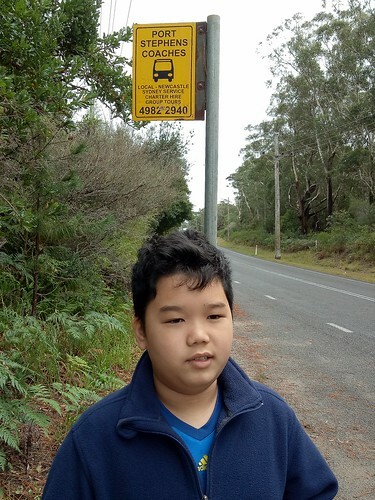 Unlike Myall Lakes, there is public transport along this road. Getting around involved quite a bit of waiting even though the road was less than 100m walk away from our room. 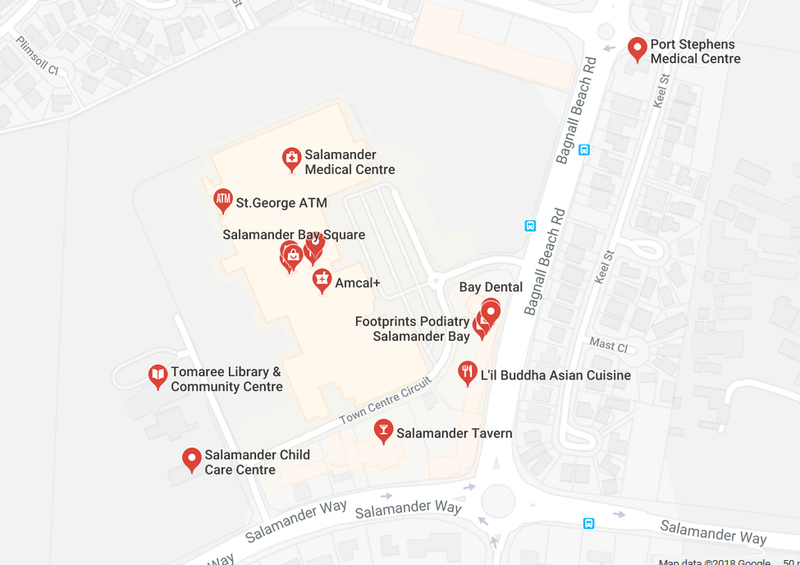 The bus actually runs through several strategic destinations within the entire Nelson-Anna Bay region, with Salamander Central being the nearest neighbourhood with some amenities. Just a couple of stops from our bungalow, it was the perfect resupply station for our food and groceries. It got dark early and being in a forest didn’t help. I cooked dinner in the dining hut that came with gas stoves, grill, microwave oven and electric kettle. While the bird that was building his nest continued to kick the fallen leaves into a pile, a possum hanging from a nearby tree was staring at our sausages. After a sumptuous dinner, we showered, watched TV and had no trouble falling asleep. Our exploration proper began the next morning. I checked out our options, then took some recommendations and directions from our lovely host. 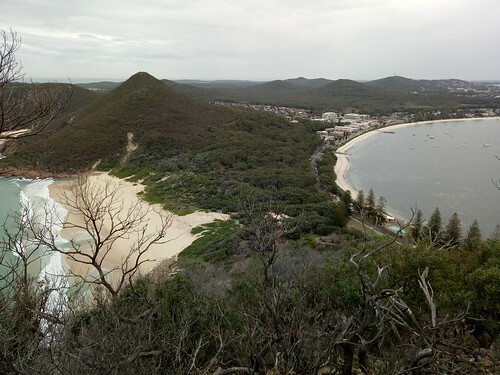 We waited for the bus to take us down to Shoal Bay and from there, we headed off to the very scenic Tomaree lookout. It was quite a taxing climb for my No. 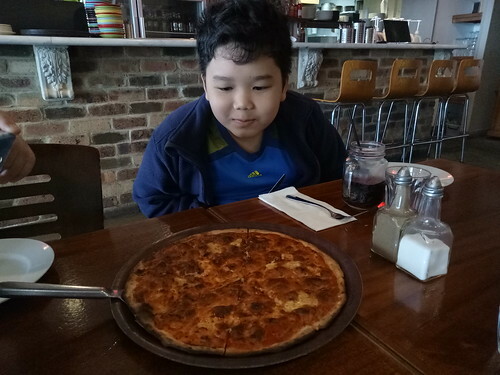 2 who is always more into food than physical activity. You can find out more about the climb form here. I don’t agree with their Grade 5. No skill is required for this climb. Just endure and move on. We all made it to the top, including my No. 2, though not in the highest spirits. I decided that a reward was in order. 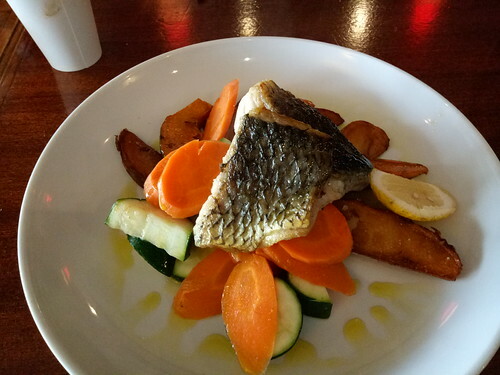 After the descent, we found a restaurant that served excellent pasta, grilled fish and pizza. We were the only diners and almost instantly after we’ve settled the bill, they pulled their shutters. It was as if they decided that they had earned enough for the day. The reward obviously worked. There was a small supermarket here and the boss at the souvenir shopped gave us the toilet key even before we bought ice cream from him. It was another long wait at the bus stop. We dropped off at Salamander Central and shopped for the rest of our food supplies. It started raining after dinner and though we slept well (with the heater on), the rain didn’t look like it was going to stop soon, falling intermittently even after sunrise. 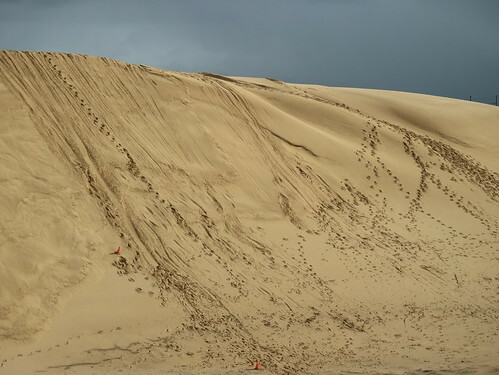 Hoping for the best, I booked a trip to the dunes. The rain stopped. The beach at Anna Bay looked as if some giant steamroller had been at work here. 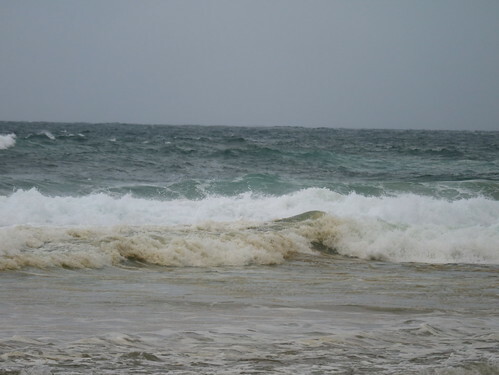 The angry waves slammed down repeatedly on the shore, but the beach remained defiantly flat and shiny. 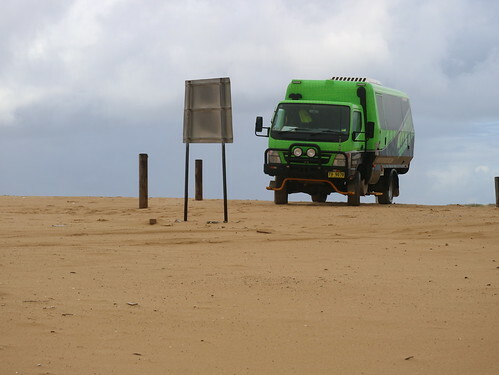 We boarded the bus which took us towards Stockton Beach where we had our quad bike ride. 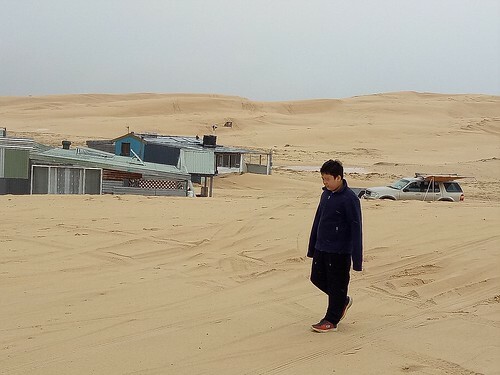 The first destination was Tin City, which was not some tin-mining settlement but a bit like a slum on a beach. Tin City has no power, no water, and no sewerage. The folks here pretty much live off the land, most being retirees and transient dwellers who really want to get away from it all. It started to rain as we were checking out Tin City. Some folks were contented to see it from the bus. 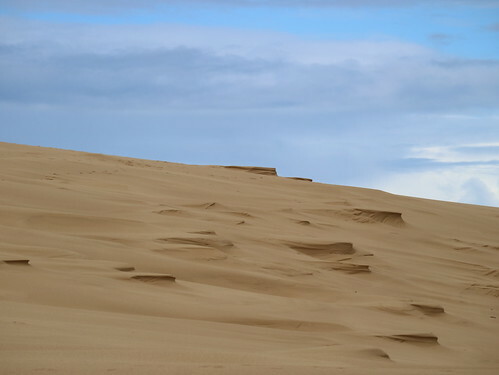 Driving off the beach and heading inland, the bus followed a distinctly albeit transiently marked track as we entered the realm of giant sand dunes. 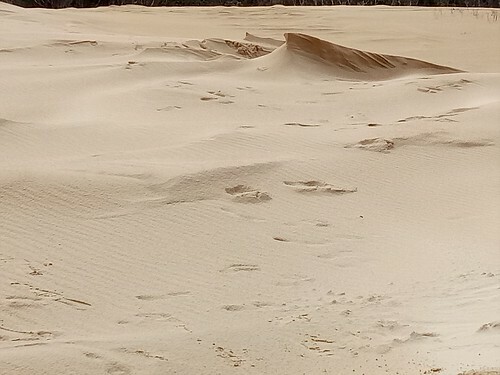 The drive was surprisingly smooth, probably because the rain had cemented the loose sand particles. 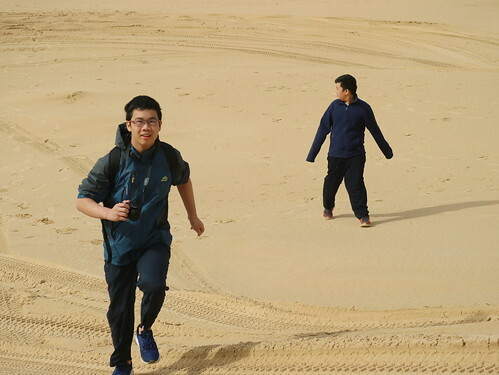 We headed off to our final destination on this trip – the sandboarding hill. 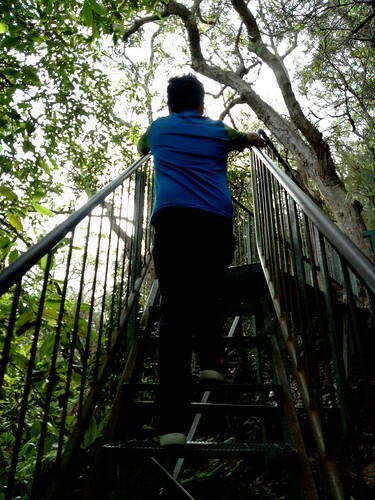 It can be pretty scary when you’re sliding down without any brakes, but after every slide, you’d have to climb up an ankle-grasping slope to go for another round. The initially excited kids were soon bored. 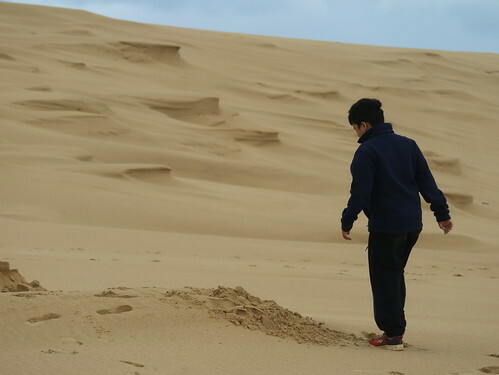 The kids had more fun running around the dunes, brilliantly dyed by the sun that had managed to peer out between the clouds every now and then. Like me, they love space and freedom. They can appreciate nature, unlike the “influencers” who claim that Marina Bay Sands is the most beautiful place in Singapore. 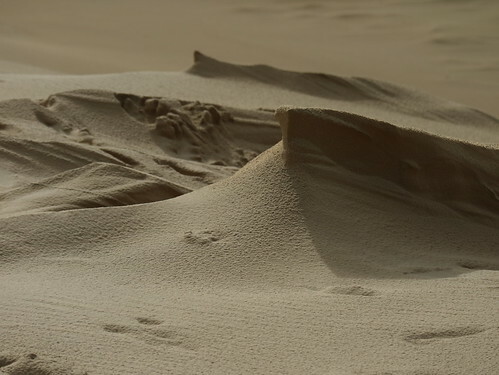 We waited for the bus, taking in the awesome views of the mountains of sand. 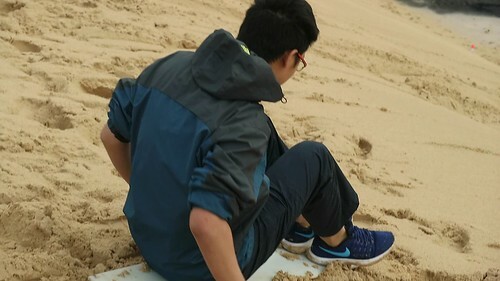 Soon, another group arrived and we soon understood why so few people got off to sandboard. The bus took us back to Anna Beach and the guide was so kind that he drove us all the way back to Samurai. With the last of the dunes ticked off our checklist, we finished up our provisions except for the next morning’s breakfast and packed up for Sydney.